Our Open House will be a day of exploration. Browse through our Open House website, 50.fnal.gov/openhouse, as you look forward to the event. 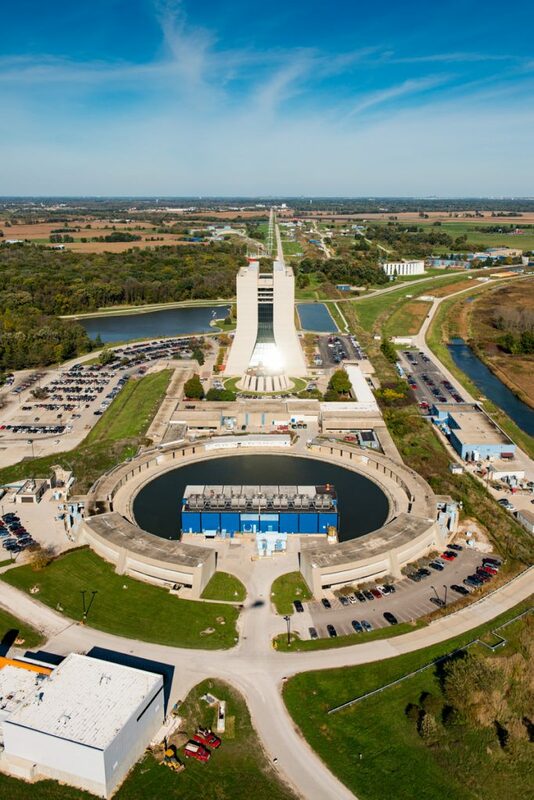 If you have questions that aren’t answered here, call the Fermilab Office of Communication at 630-840-3351. What are we made of? How did the universe begin? What secrets do the smallest, most elemental particles of matter hold, and how can they help us understand the intricacies of space and time? As America’s particle physics and accelerator laboratory, the Department of Energy’s Fermi National Accelerator Laboratory aims to solve these mysteries of matter, energy, space and time for the benefit of all. We build world-leading accelerators and detectors to conduct some of the most advanced particle physics experiments possible, digging down to the smallest building blocks of matter. We collect and analyze the data from those experiments with some of the most powerful computers in the world. And we probe the farthest reaches of the universe, seeking out the nature of dark matter and dark energy. Our accelerator and detector facilities and R&D infrastructure keep the United States a world leader in particle physics research. Our program provides opportunities for international partners to participate in particle physics facilities in the United States. Fermilab was established in 1967. Fifty years later, it has become the premier particle physics laboratory in the United States. Since the lab’s beginning, we have brought together people with unique skills from all over the world to build cutting-edge machines that allow scientists to investigate the fundamental properties of matter and energy. In our 50-year history, we have hosted hundreds of experiments examining the particles that are the universe’s smallest building blocks and govern its structure on the grandest scales. The lab operated two powerful particle colliders — the Main Ring and the Tevatron — tools which made the discovery of the bottom and top quarks possible. We are currently home to the world’s most powerful neutrino beam and a number of neutrino and muon experiments, and we will soon host LBNF, the international facility that will make the Deep Underground Neutrino Experiment possible.